Flu activity remained elevated across the U.S. for the week ending March 16, according to the CDC's most recent FluView report. 1. The percentage of outpatient visits for influenza-like illness was 4.4 percent for the week ending March 16, which is still higher than the national baseline of 2.2 percent. All 10 U.S. regions reported influenza-like illness at or above their region-specific baseline level. 2. The CDC confirmed 8,724 positive respiratory specimens for influenza A and 322 positive specimens for influenza B in the week ending March 16. 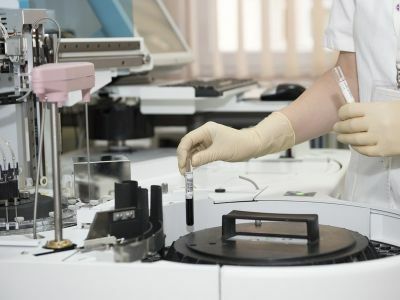 The agency has confirmed 134,867 positive specimens since Sep. 30, 2018. 3. The overall flu-associated hospitalization rate increased from 41.3 per 100,000 for the week ending March 9 to 47.1 per 100,000 for the week ending March 16. The CDC reported 13,604 laboratory-confirmed flu-associated hospitalizations between Oct. 1, 2018, and March 16. 4. Twenty-six states experienced high influenza-like illness activity for the week ending March 16, down four states from a week prior. Twelve states reported moderate activity; eight states and Puerto Rico experienced low activity; and four states experienced minimal activity. 5. Eight pediatric flu deaths were reported to the CDC for the week ending March 16, bringing the total count to 76 for the 2018-19 season. 6. Forty-four states reported widespread flu activity for the week ending March 16. Four states and Puerto Rico reported regional flu activity, and the District of Columbia and two states reported local flu activity.